For a FREE quote from A1 Overseas International and more information regarding auto transport services to Papua New Guinea, call 1-800-450-5319 or fill out the form! Auto transport should only be conducted by those with the right equipment and experience in dealing with the auto import and export policies held by other countries. 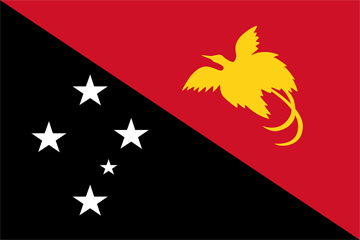 Shipping to Papua New Guinea would be nearly impossible if not handled by a reputable company. Fortunately, the vehicle shipping process can be quite cost effective. The vehicle must pass an inspection proving it has been driven for at least 12 months prior to the import. They want proof the vehicle is worthy of being driven. The owner of the vehicle must plan on being in Papua New Guinea for at least a year. The same person shipping the vehicle must be the person who owned the vehicle the year previous to the transport date. Proof of registration, the vehicle’s purchase invoice, insurance documentation, passport, proof of ownership, and other documents will need to be presented to Customs. Verification of paid taxes is also a requirement. The above guidelines are usually standard auto import procedure for Papua New Guinea. However, auto shipping companies suggest that those planning an international shipping process; contact the Embassy of Papua New Guinea for the most current policy standards. As soon as you learn of the requirements, begin preparing as necessary. Allow the professionals with A1 Overseas International help you through the entire process. International auto transports require more attention and time than a state to state auto transport. It isn’t something that can be easily conducted by untrained individuals. Call A1 Overseas International and schedule your auto transport to get the process in motion. Contact 1-800-450-5319 or fill out the form for more information and a FREE price quote on boat, motorcycle and car shipping!